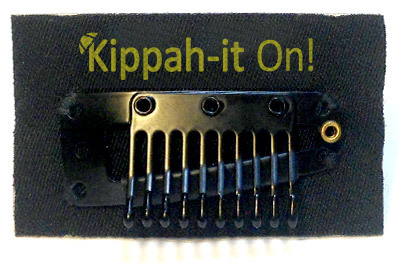 The original do it yourself inner kippah clip. 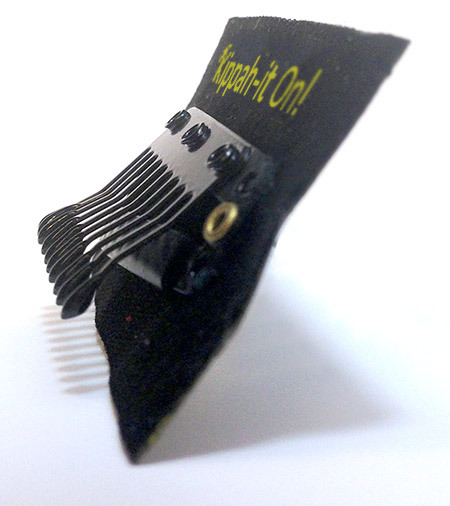 The innovative wig-style snap clip is easy to use, and will hold on to all hair types. 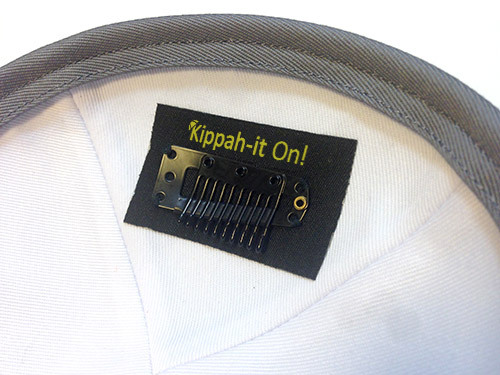 Kippah-It On! uses only top quality 10 prong metal clips which are hand sewn to each woven backing to assure the highest quality craftsmanship & durability. Rubber tips on each prong help hold to hair tight and comfortable. 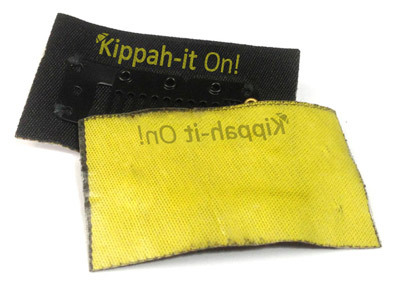 Simply peel backing and press firmly into any kippah. For best results, use in a new kippah is recommended. Each Kippah-It On! pack comes with two clips. Mounting area measures 2" x 1.2"